In a move that could force Attorney General Kathleen G. Kane from office, the Disciplinary Board of the Pennsylvania Supreme Court has notified her that it is seeking to suspend her law license, according to sources familiar with the matter. "I can't talk to you about it because anything I say can be held against me," Kane said Friday. Kane, 49, was charged this month with perjury, conspiracy, official oppression, and other crimes. Prosecutors say she illegally leaked confidential documents to a reporter in a bid to embarrass a critic, then lied about it under oath. As a grand jury investigated Kane's conduct, prosecutors say, she ordered aides to spy on the emails of people involved in the probe, including witnesses and the special prosecutor who was handling the case. Kane has pleaded not guilty and vowed to remain in office, despite calls from top Democrats for her resignation. The Disciplinary Board, which oversees the conduct of lawyers across the state, moved to suspend Kane, the state's highest law enforcement official, in response to the criminal charges against her, sources said. Late Friday, her spokesman, Chuck Ardo, said he was unaware of the effort to suspend Kane from the practice of law. "I have no information to that effect and therefore cannot comment," he said. Kane's lawyer, Gerald Shargel, declined to comment on the Disciplinary Board's action. According to people familiar with the decision, the Supreme Court's Office of Disciplinary Counsel, the investigative arm of the board, is seeking an emergency temporary suspension of the attorney general's law license. State rules allow the disciplinary agency to petition the high court for such a suspension in cases in which it believes a lawyer "is causing immediate and substantial public or private harm" by engaging in "egregious conduct." By seeking a temporary suspension, the disciplinary agency would bypass the much lengthier process of stripping a lawyer of a law license. By law, Kane has 10 days to respond and make the case as to why she should be allowed to keep her license, and the Office of Disciplinary Counsel has an additional 10 days to rebut her position. The high court would make the decision on whether to suspend her license. The state constitution requires that the attorney general be a member of the bar. 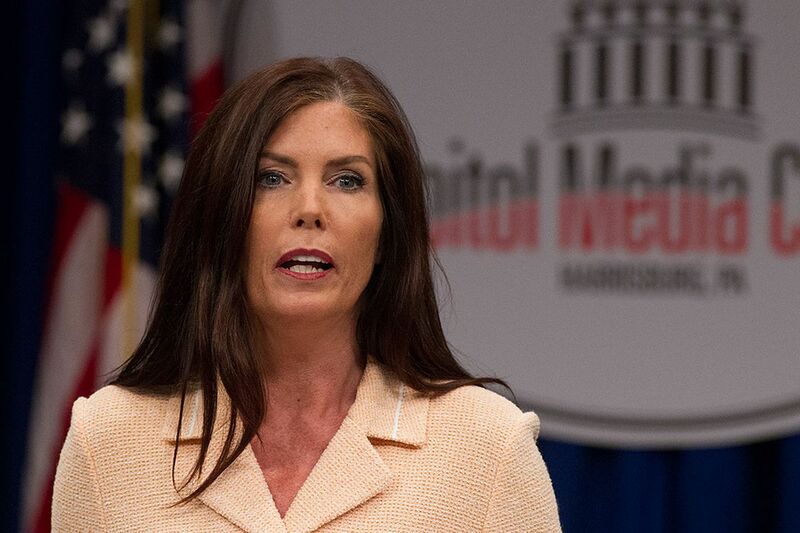 Whether a temporary suspension of Kane's law license would force her from office is in dispute. Former Supreme Court Justice Ronald D. Castille said Friday that Kane should step down if suspended. "There's outrageous conduct on her part. That's offending the legal system," he said. Castille, who retired from the high court this year and who authorized the leak investigation that led to the charges against Kane, was among several people whom prosecutors say she directed her top aides to spy on. Prosecutors say Kane leaked information to the Philadelphia Daily News because she was angry at a former top prosecutor in her office, Frank Fina. They say she blamed Fina for a story in The Inquirer in March 2014 that revealed she had secretly shut down a sting investigation that captured Democratic elected officials from Philadelphia accepting cash or jewelry. To even the score, prosecutors say, Kane arranged for confidential documents to be delivered to a reporter about a long-shuttered case that Fina had handled. The Disciplinary Board is made up of 13 members appointed by the Supreme Court. Eleven are lawyers. The posts are voluntary, unpaid positions.